Weldbond is a universal bonding adhesive for glass, wood, plaster, metals, slates, tiles building panels, boards and blocks, cement, bricks, concrete, linoleum, fabrics and more. 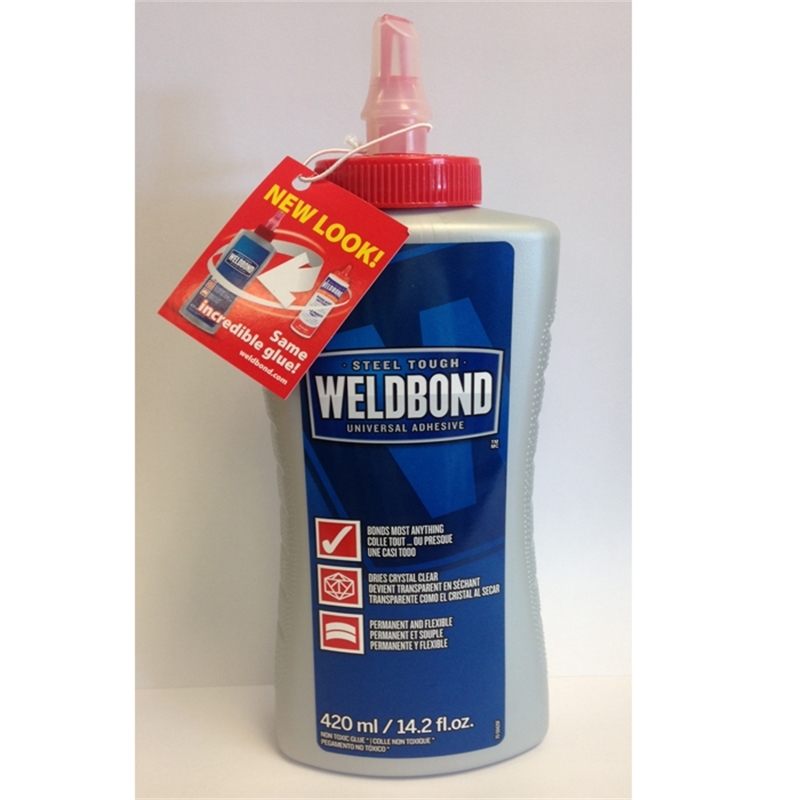 Weldbond contains no animal ingredients or harmful chemicals. it is non-toxic, nonflammable, free of fumes and environmentally friendly! it carries the Ecologo (tm) seal of approval- providing that it is created without the use of formaldehyde, toxic metals or excessive VOCs.